I have a strange little story appearing in this collection, due out next weekend. 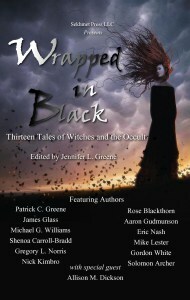 I’m honored to be part of this charity anthology, appearing alongside a number of authors I’ve come to call friends. 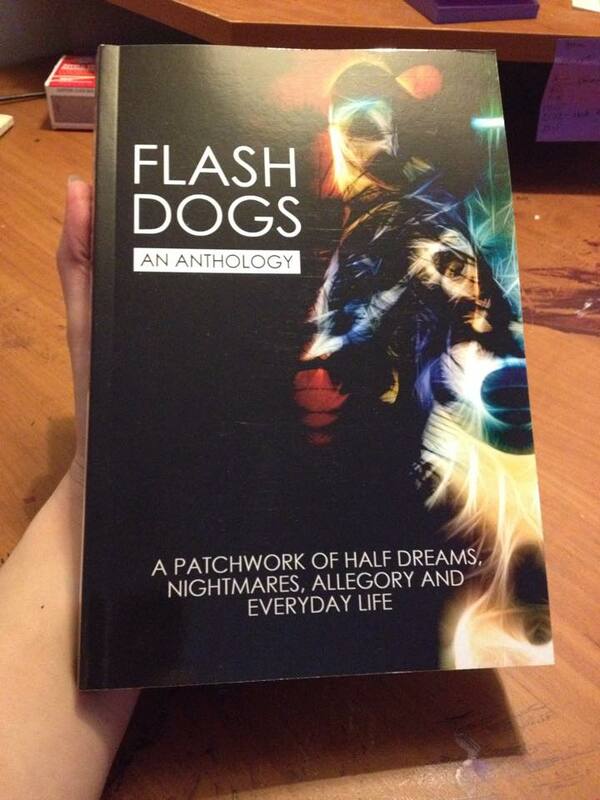 A significant amount of of work has gone into the production of Flash Dogs, all done for love of the flash fiction form. All proceeds from the sale of this anthology benefit The International Board on Books for Young People. 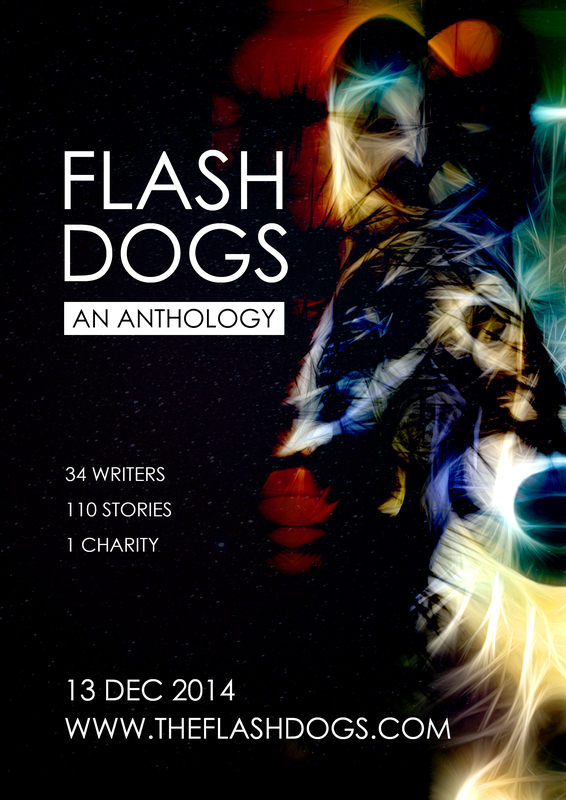 For more information about the anthology, its authors, or the Flash Dogs in general, visit www.theflashdogs.com. Gordon White is a friend of mine, and I was privileged enough to read ‘Hair Shirt Drag’ before it was purchased by the folks at Sekhment Press. It’s a great story. I can’t wait ’till Wrapped in Black is released so I can permanently add ‘Hair Shirt Drag’ to my collection. Strong work, Gordon! I ain’t never read the Key of Solomon, but I read the Book of Kings. Rest of the Bible, too, back when Mama thought that’d help me fit in. It didn’t, I won’t, and, truth be told, I ain’t all that broken up about it. It’s hard being the only son in a family of powerful women, harder still when people say you aren’t even man enough for that. But I’m just about over it all, really. Things are heating up over on my weekly flash fiction challenge site, The Angry Hourglass. I’m seeing more and more participants every week, and the judging is becoming increasingly difficult. It’s very satisfying. 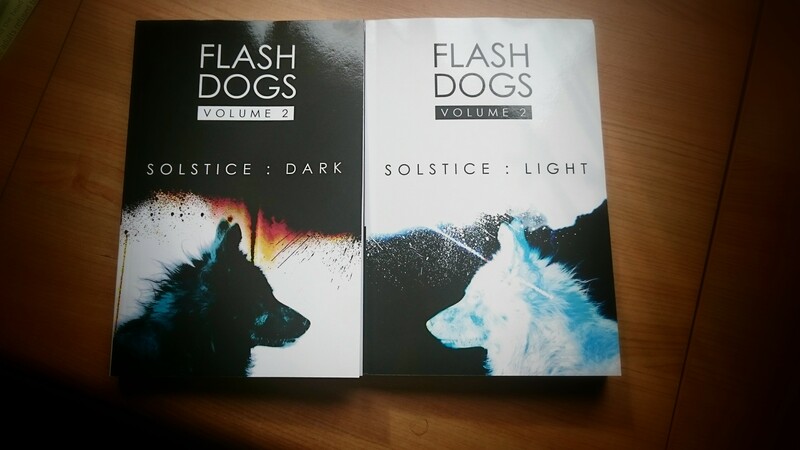 Furthermore, some of my more ambitious regulars have formed an official pack, aptly named FlashDogs, and they are organizing their first anthology. I can’t take any credit for this endeavor, but I am excited to be associated by proxy. 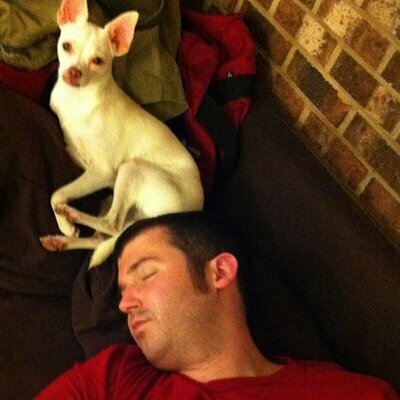 So, how does one become a FlashDog? It’s easy! 2. Write Flash Fiction (weekly competitions held at Flash! Friday, Finish That Thought, and The Angry Hourglass). That’s it! Now go get your flash on! While I’m in the process of transferring some of my content from blogger to wordpress, I thought I’d take the opportunity to make “My Writing Process” the first blog post on my new site. Thanks to David Shakes (@shakes72) for tagging me. You can find his content here. I’m working on a number of projects at the moment, the most ambitious of which is a novella entitled Aletheia that I hope to have completed by October. The rest of my projects lie safely within the realm of flash and short fiction, although I’m still looking for a shiny idea that might carry me through NaNoWriMo this year. It doesn’t apply to everything I write, but a great deal of what I put to paper has distinct medical undertones (and overtones; subtlety is not my strong suit). That said, my goal is to write in such a way that a medical background is not required to understand and enjoy my stories. Only my readers can say whether or not I succeed. Why Do I Write What I Write ? I write dark fiction because I’m still afraid of the dark. I write dark fiction because the only way to survive darkness is to understand it and to know what lurks inside it. I write dark fiction because when I sleep, it is the darkness that whispers dreams to me. I’d be remiss if I didn’t tag at least one of the folks who participate in my weekly flash fiction challenge at The Angry Hourglass. They show up week after week and in a period of 36 hours, create vivid, engaging, super-short fiction based entirely on a randomly chosen photograph. That’s damn impressive, I don’t care who you are. Jaime writes and occasionally judges for The Angry Hourglass. His passion in life is film, and he writes primarily screenplays with aspirations of one day being a director. Having spent almost a year sharing creative material with Jaime, those are some movies I’d definitely like to see. You can read his blog here. Taylor has the great misfortune of living in the same area and thus attending the same writers group as I. This means she’s subject to the fallout of every step of my writing process as outlined above. She’s also a good writer and keeps me on track with regard to grammar and punctuation. She deserves chocolate. Lots and lots of chocolate. Read her blog here. 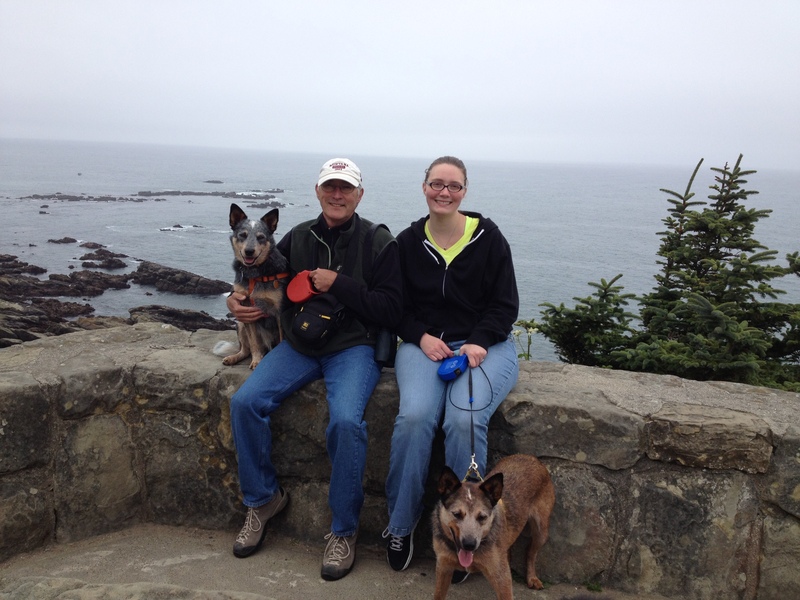 I met Gordon on LitReactor, and since he isn’t a malpractice attorney, we get along just fine. He writes dark fiction that makes my skin crawl and does some beta reading for me from time to time. This is lucky for me, because Gordon is a much better writer than I, and I can use all the feedback he can give me. You can read his blog here.